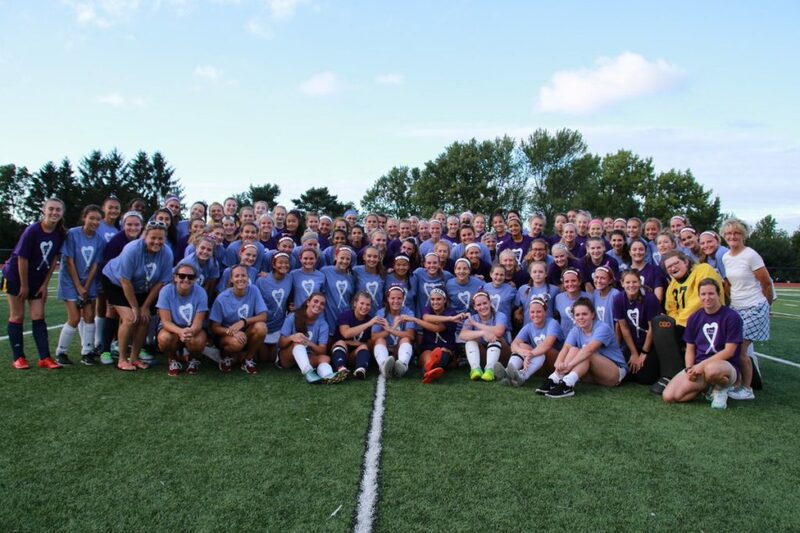 Pittsford Sutherland and Pittsford Mendon JV and Varsity Field Hockey Teams are using our competitive, rivalry games against each other to come together and give back to the community and support the Willow Domestic Violence Center in Rochester. In August, both Varsity teams participated in the Escalation Workshop through the One Love Foundation where we had players that were trained facilitators from both programs lead the workshop. 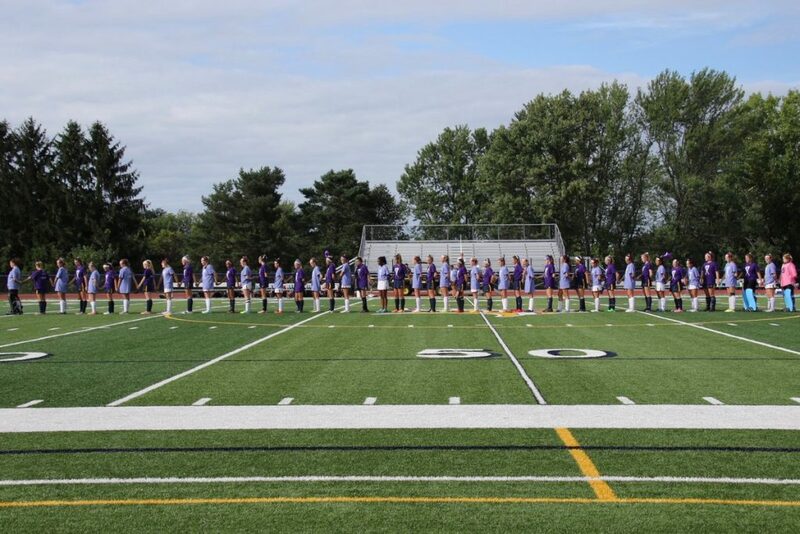 Both JV and Varsity teams wore different shades of purple (which is a color worn to bring awareness against domestic violence) during warm-ups and the pre-game ceremony. Instead of standing as two separate teams, the teams joined together as one team. Money collected at the JV and Varsity Game in September and then again in October will be donated to the Willow Domestic Violence Center. $880 was collected at the first game this week. We will be making one big donation after we play again in October. At Mendon, we have 23 varsity athletes and 25 JV athletes. Sutherland has 23 varsity and 20 JV athletes, so combined we have 91 high school girls helping to raise money for Willow. Both varsity teams, completed a 1.5 hour training on healthy/unhealthy relationships sponsored by One Love. After our second fundraiser game in October, the girls will be using the donations from the games to go shopping for wish list items that Willow supplies to survivors at their facility. These items include: personal care items, clothing for women/children and baby supplies. After they purchase the items, the girls will be putting together baskets to be delivered to Willow.